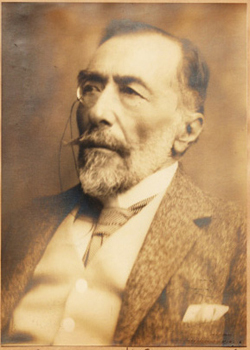 Welcome to the official website of The Joseph Conrad Society (UK). Established in 1973, and now a registered charity in the United Kingdom under the terms of The Charity Act of 1990, The Joseph Conrad Society (UK) provides a medium of communication for Conrad scholars throughout the world. Through its activities The Society expands the possibilities for Conrad studies through an annual conference, support for scholarship, and The Conradian: The Journal of the Joseph Conrad Society (UK).